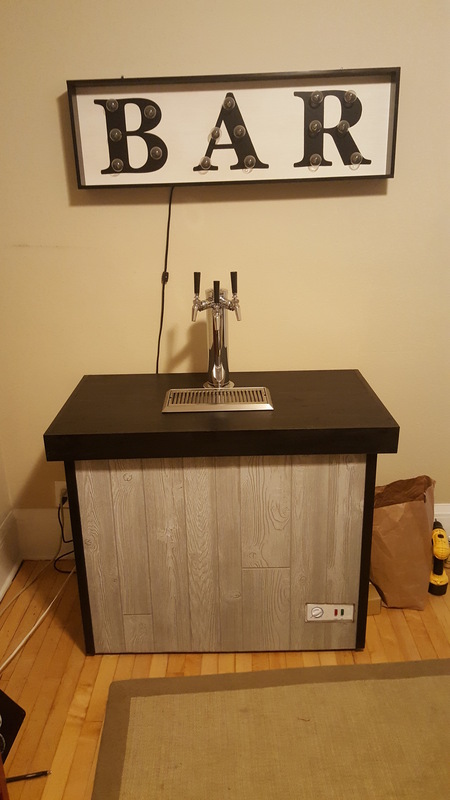 I currently am running a set up with 2 single tap towers out of a mini fridge. My father in law recently acquired a box full of Perlick items in a charity auction. Box contains: 1 - 3 tap stainless tower , 6 perlick faucets, 5# co2 tank, handful of growler fillers and some other misc stuff. This was passed on to me and now I have the itch to upgrade my system. 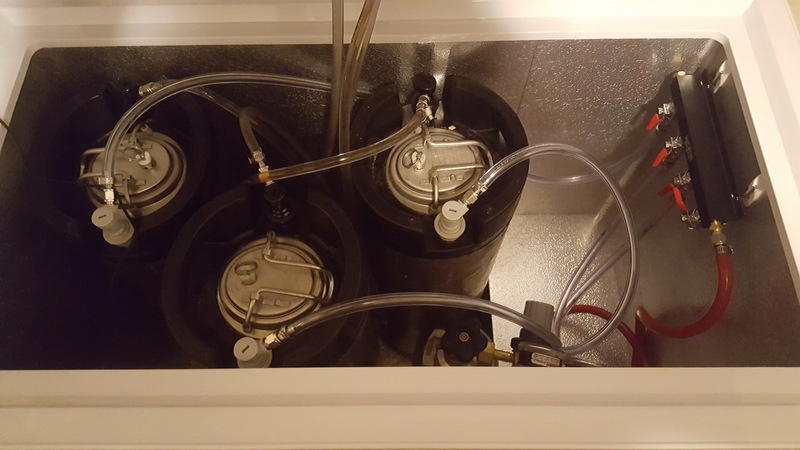 I cant fit another keg in my current fridge, and it seems a chest freezer will be the only way to fit 3 kegs in a build. My issue is space. If I go much larger I will end up needing to move my set up to my unfinished basement instead of my den. Anyone know of any mini fridges or what the smallest freezer is that could fit 3 kegs? Been looking for a few days and have not come up with anything that could keep my beer upstairs. Any advice would be appreciated. Thanks in advance! After laundry, storage, home gym, and brewing station, I only have one corner of the basement available. I could set up a small hang out area, but going downstairs every time i want to pour a beer or when we have people over sounds like a lot of work! Most likely this will end up being what I have to do. I don't think i can let these goodies just lay around without using them. When I was thinking of going chest freezer, I was shooting for 2, with the tank on the hump. 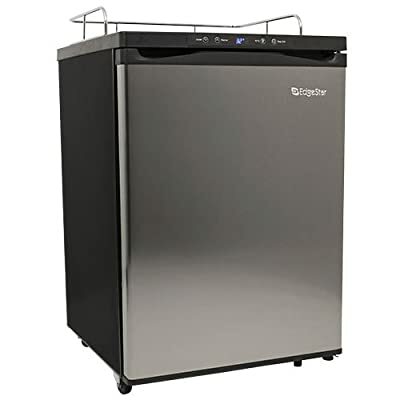 I think if you put the tank outside, and built a tall enough collar to fit a keg on the hump, you might be able to get away with a 5 cubic foot freezer. Or, you could go for two 5 gallon kegs on the floor, and a 3 gallon keg on the hump for smaller batches. I think you need to run chilled serving lines upstairs to your den from the kegerator downstairs.. I have a 7cf chest freezer that fits 4 kegs with a 5lb CO2 tank on the hump. Ditto....and im wondering if i could fit two 5# tanks on the hump. I think it's an edge star brand. It can be purchased without the tower so you can use the one you have. I opted for 2 taps, and use a dual body regulator. One side is split and keeps 2 kegs at serving pressure, the second body is for force carbing the 3rd keg. It's a nice setup... I wish the tower was cooled tho. The first few seconds of pour are warm and foamy. I was about to pull the trigger on a 7cf that is on sale at Sams for $139.00 when I remembered I barely got my 5.6 cf freezer for food down my ridiculous staircase. I don't think I can get anything that large even in the basement now haha. Guess I need to move! Thanks for this! I will be looking into these. I am also going to see if I can get 3 into a 5.6 and if that could squeeze into the corner of my den. Putting it in the dining room got shot down yesterday. 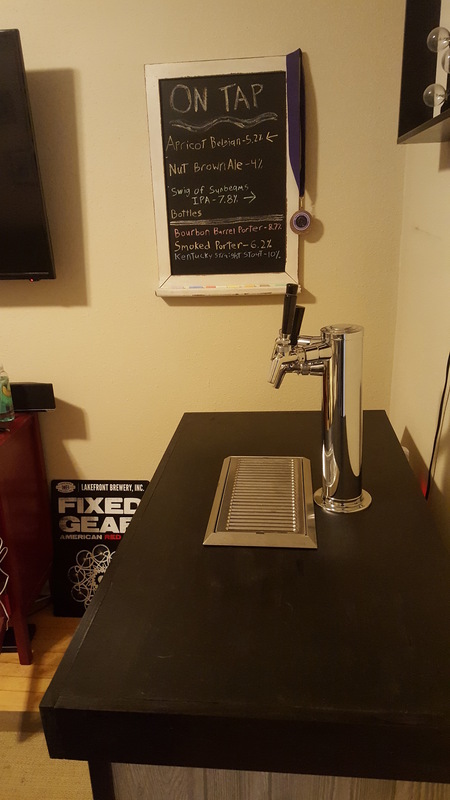 Well after much debate I ended up going with the keezer build. All perlick components. With the tight space I opted for not building a frame around the freezer and used liquid nails to attach pieces of wall panel from Lowe's. Let me know what you think.